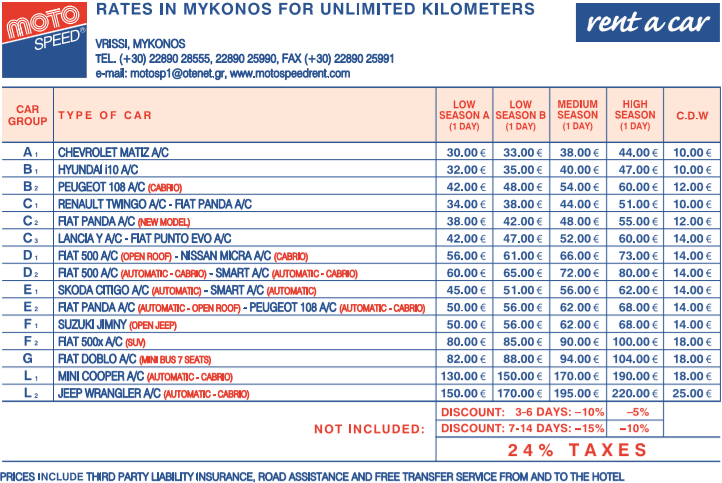 Hiring a car is surely the best option for families to explore Mykonos. Our wide selection of vehicles fits all the needs and all the tastes. 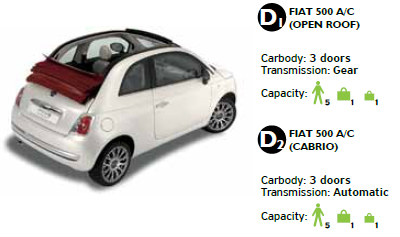 The range includes 2-to-7 seats cars, both manual and automatic, convertible versions and four-wheel drive. Big groups could even opt for a mini-van, while there's nothing better than a Jeep for adventure lovers. 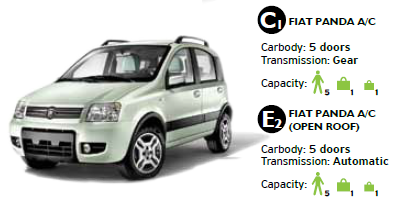 Page for information related to renting a car. Here you will find all models of cars that you can rent during your vacation in Mykonos, can carry up to 7 people.